It’s quite ironic that many people in cities like Mumbai and Pune often curse the rain for the kind of urban mess that it creates and then rush out in the rural areas looking for some holiday spots where they can enjoy the serenity of nature. In my previous blog about waterfalls, I covered the must visit top 5 waterfalls near Mumbai but I finally thought that Maharashtra is not just around Mumbai and Pune. Maharashtra is blessed with plenty of natural landscapes and holiday destinations that should be explored. This time I am again covering the waterfalls that readers can enjoy and I have never covered them before on my blog so my readers can always expect some fresh and new content and even new waterfall destinations that they can explore. 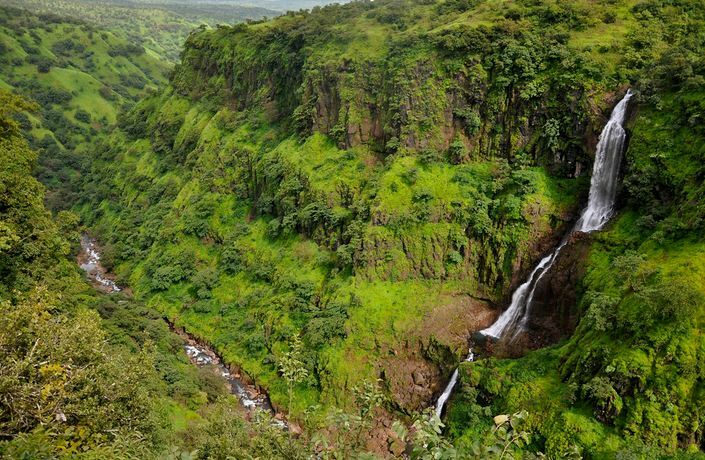 Below are the top 5 must visit waterfalls in Maharashtra which nature lovers, photographers and family people can enjoy. Thoseghar is close to Satara and it is the new holiday spot that is evolving at the moment. Not many people go here but I can bet Thoseghar is going to be on the tourism charts in the next few years for the kind of natural landscape it offers. 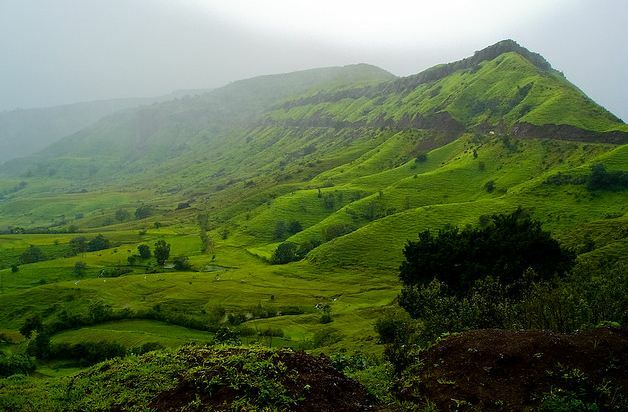 Around 35 kilometers from Satara this place is wrapped in the lush green blanket of grass during the monsoon season and the misty cool unpolluted air can freshen up your body and mind in few seconds. Thoseghar waterfalls comprises of many small waterfalls of around 20 meters height but there is one giant waterfall here that has a height of 500 meters which is one of the highest waterfalls in Maharashtra. To reach here you can take local state transport bus from Mumbai or from Swargate in Pune. 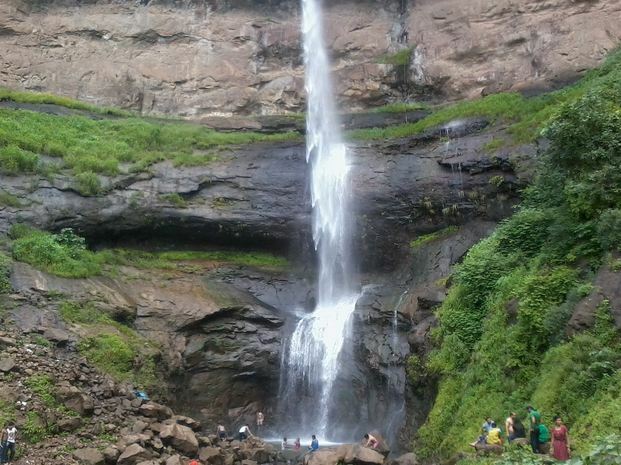 You can also have a great view of the waterfall from Chalkewadi. Mahabaleshwar needs no introduction, does it? This place has remained the most popular honeymoon destination in Maharashtra for many decades and it still attracts couples, families, photographers, nature lover and strawberry-hungry people. 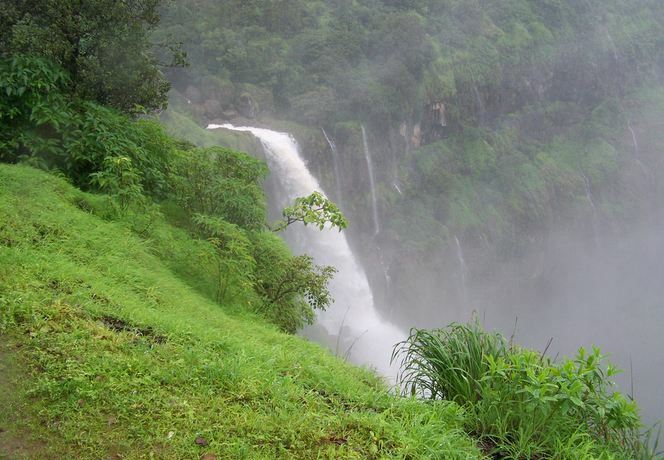 Just 6 kilometers from Mahabaleshwar you will find Lingmala Falls that offers a breathtaking view to the visitors. During the monsoons the milky white water plunges down 600 feet which is a view that you should not miss out. Of course, you might not get the opportunity to feel that water on your body, but I still believe its better that way to watch nature in its raw form without being spoiled by human interference. During the rains, the fog and climate conditions are not right so I will advise my readers to drive carefully when they are going up the hill towards Mahabaleshwar and while returning. I think in terms of tourism, Satara is not too far behind of Konkan especially during monsoons. It is here that you will find Vajrai waterfalls close to Bhambavali village and in the last few years increase in tourists here have changed the economics of this place. 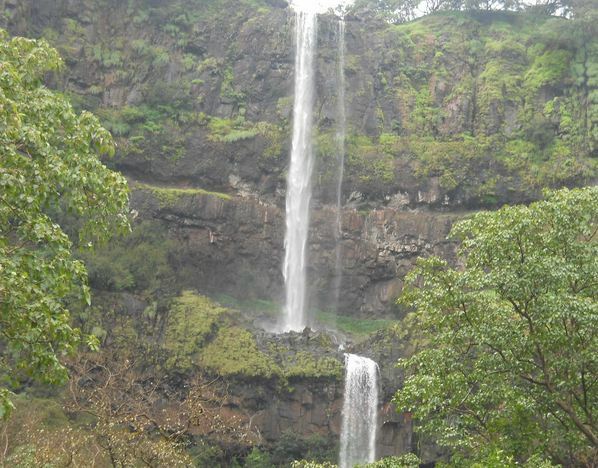 Vajrai waterfalls is among the tallest waterfalls not only in Maharashtra but in India as well. 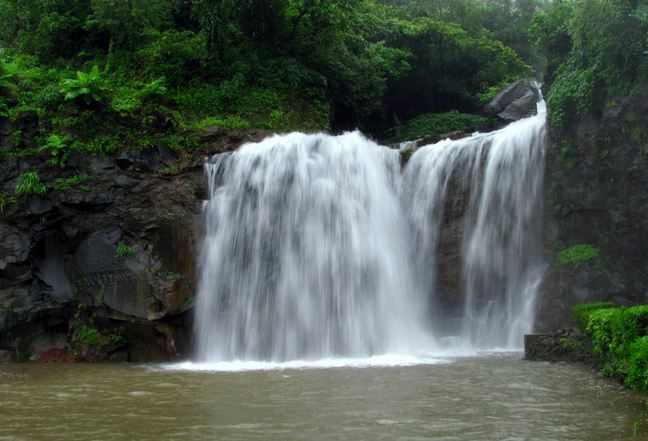 Monsoon season is the best time to visit Vajrai waterfalls and if you are visiting Thoseghar waterfalls you are not too far from Vajrai waterfalls as well. Enjoy some boating at Tapola if the weather is bit sunny and if it’s not raining heavily. The name itself sounds like an international waterfall, but this one is located right here in Maharashtra just few hours from Mumbai. Zenith waterfalls is usually filled with one day picnic travelers around Mumbai and Pune so you might find this bit crowded. Not too far from Khopoli you will find Zenith waterfalls that offers an opportunity to visitors to get soaked in the cool icy waters that flow through the waterfall. The rocks here can be slippery so a bit of caution is a must. You can either get down at Khopoli or take a bus from Panvel to reach here as Khopoli is easily accessible city. 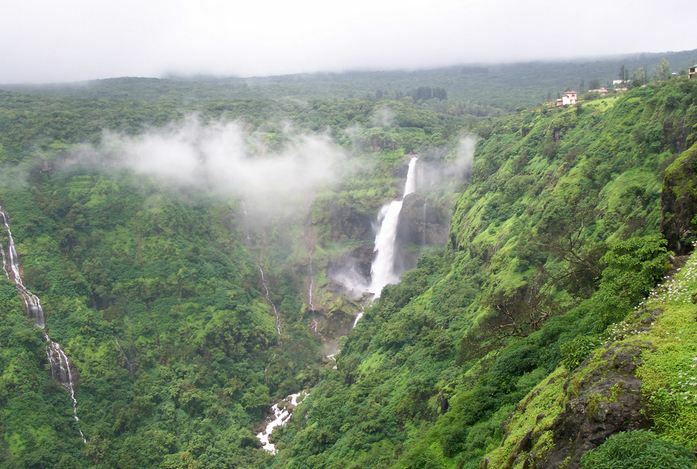 I have already covered Amboli in some of my previous blogs on monsoon destinations in Maharashtra so if you are looking for some information you can read my previous blog. Amboli Ghat waterfalls are basically mini waterfalls all over the place, some are big enough some are small but they offer great water soaking experience that you are searching for. There are many hotels and accommodation options here so you can always get back to the hotel and warm yourself up in case you are feeling too cold because Amboli does have cool atmosphere during the rains. Thank you for reading my blog posts. If you have any feedback or improvement ideas please do share it. I love to keep my readers happy. You’re welcome, Darshana. Your name reminded me of my childhood friend who share the same name. With regards to my post, I’m glad you liked it and it helped you to make an informed decision. What about Vihigaon Waterfalls near Igatpuri in Nashik?? Will u suggest me to visit the waterfalls in summer?? 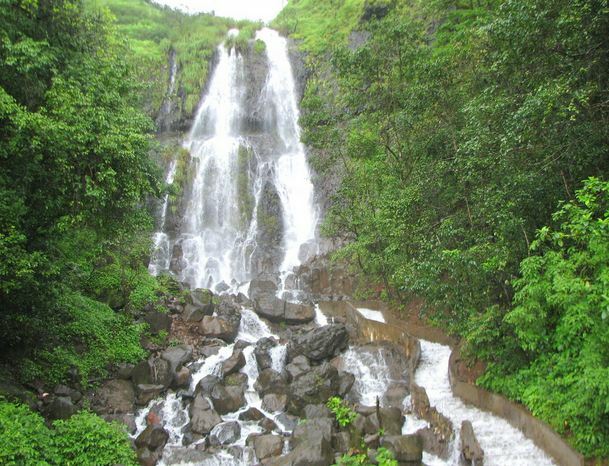 Suraj, most waterfalls in Maharashtra are monsoon-fed so they usually dry up in the summers. The water flow is basically zero, so I would recommend that you try out waterfalls after few weeks of monsoon. If you still want to beat the heat, you can head to Goa or Water Kingdom where you can splash around in the water. Thanks for once again sharing some of the most beautiful places in the world. Stunning, I just hear the water falling….. thanks for sharing these wonderful photos. You’re welcome. 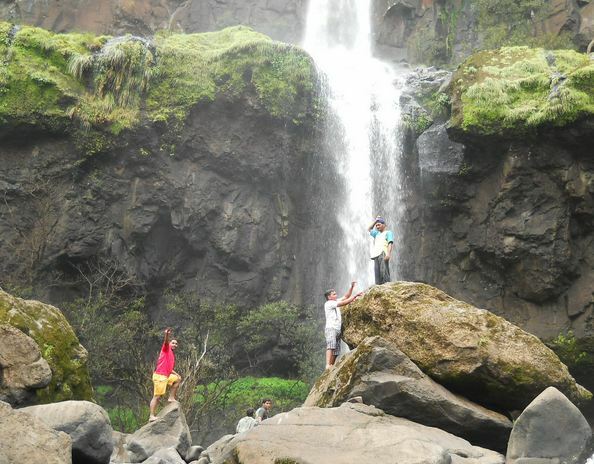 The experience of being under such waterfalls is simply awesome. You feel one with the nature. I can imagine, I love water in general, the sea, rivers, lakes, all plant a smile on my face so thanks for letting me experience the beauty of the waterfalls via your blog. Nice blog and images. I would love to visit Satara, famous for Ajinkyatara Fort, Sajjangad Fort and Chaphal.